It’s estimated that the average American commuter spends 42 hours a year stuck in traffic. That’s a lot of wasted time. What’s more, the problem will only get worse as cities and the economy grow. Investment in mass transit is an important part of the solution. But it’s expensive and not everyone lives within walking distance of the subway or a bus stop. Uber helps use today’s existing infrastructure more efficiently at no extra cost by getting more butts into the backseats of fewer cars. uberPOOL is a first step, making it quick and easy for people going in the same direction at the same time to share the journey. It’s a model that’s working. In San Francisco, uberPOOL now makes up nearly half our trips in the city. In Los Angeles, in its first eight months, uberPOOL cut the number of miles driven across town by 7.9 million and prevented carbon dioxide pollution by 1,400 metric tons. But that’s just the start of what’s possible with apps like Uber. Today, 76 percent of commuters in the U.S. drive to work by themselves. If they could easily share the trip (and the cost) with one or more fellow commuters that would dramatically cut congestion, improving everyone’s quality of life. It’s why we’re excited to announce two new pilot programs in Seattle and Chicago that will make it even easier for people to share their journey to and from work. 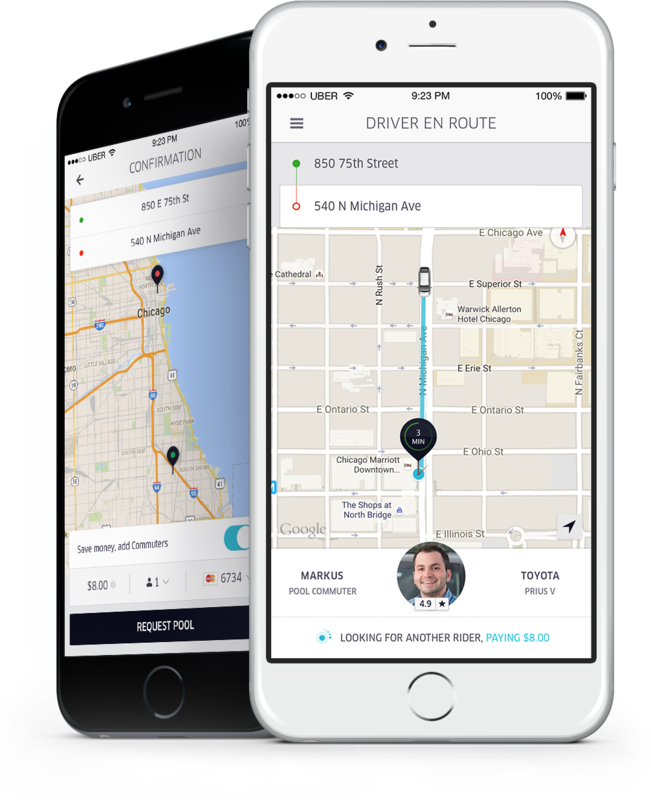 We will be piloting a new program for drivers who want to share their commute and recoup the cost of the trip. It will be available throughout the Chicagoland area from 6 AM to 10 PM, Monday to Friday. We chose the Chicago area because we believe this pilot can help alleviate a huge problem: congestion. I-90 recently earned the title of the “nation’s worst bottleneck,” costing area residents 16.9 million hours of wasted time and a staggering $418 million in lost productivity per year. These two pilots are an app-based version of something that’s already happening every day. Casual carpools (or slug lines) have taken off in places like Washington, DC and the East Bay in Northern California. With casual carpools, commuters line up at prearranged points. Drivers pull up with a sign in their window showing their destination and passengers going to the same place jump in. By using technology we can make this process more convenient, more reliable and safer. It’s a model that the French ride-sharing company BlaBlaCar has proven can work over long distances in Europe. 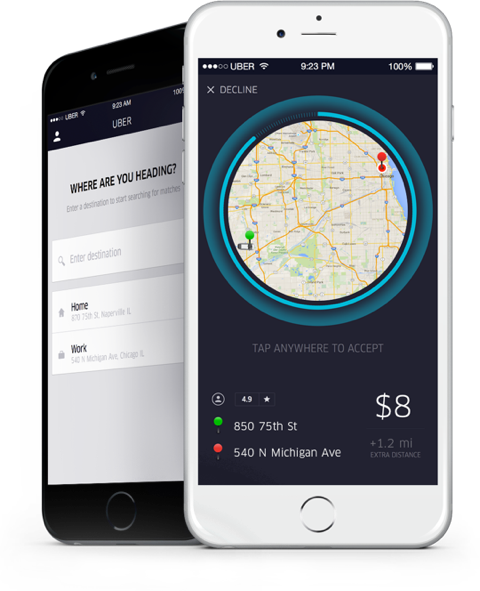 Uber started out to meet a simple necessity: the need to get a ride. We have now discovered a way to help with one of the biggest challenges cities face: congestion. By making it easy and affordable for people to share rides, we can get more butts into fewer cars. Over time, we can create credible alternatives to car ownership. After all, if you can press a button and get an affordable ride across town within minutes at any time of day or night, why bother to own a car at all?